If you’re interested in hair care and beauty, you’ve probably heard about sulfates in some form. “Sulfates” has been a beauty buzzword for the past few years, with some saying to stay far, far away from them and others wondering, “What’s the big deal?” If you’ve ever wondered about sulfates, here’s what you need to know. WHAT ARE SULFATES AND HOW DO THEY WORK? Sulfates can be cleansers and foaming agents. They’re used in a number of personal care products, like toothpaste, shampoos and cleansers because of their superior formulation properties, including for cleansing, lathering and rinsing thoroughly. DOES AVEDA USE SULFATE CLEANSERS? We do — but there’s a reason! Every Aveda product contains an array of ingredients, like essential oils, botanicals and other functional ingredients. Every product is carefully formulated to support product performance, safety and our Mission. We use both sulfate-based and non-sulfate-based cleansers in our shampoos and other cleansers to achieve the desired end benefit. We think it’s more about using the right surfactant blend for a product than whether the product simply contains sulfates. When we decide to use a sulfate-based cleanser in any product to enhance performance, we use ammonium lauryl sulfate (ALS) and sodium coco sulfate, both of which are plant-derived from coconut, gentle and have a history of safe usage. We don’t use sulfate cleansers such as sodium lauryl sulfates (SLS) or SLES in any Aveda products. WHY DO YOU USE SULFATE CLEANSERS? Here’s an example! Think about Pure Abundance Volumizing Shampoo versus Damage Remedy, Dry Remedy and Invati Advanced shampoos. Pure Abundance creates big, cascading bubbles that remove product build-up and residue while leaving your hair fresh and full of volume. We optimize the blend of surfactants, including adding sodium coco sulfate, for this specific product and the desired end benefit. Damage Remedy, Dry Remedy and Invati Advanced shampoos use sulfate-free surfactant blends to optimize the texture and desired performance of the shampoos; that’s why they have a dense, creamy lather instead of airy bubbles. It’s all about the end result! If you want your hair to feel light, fresh and clean, opt for products with sulfate-based cleansers. If you don’t love bubbles and prefer a more hydrating shampoo, go for products without. It’s that simple. 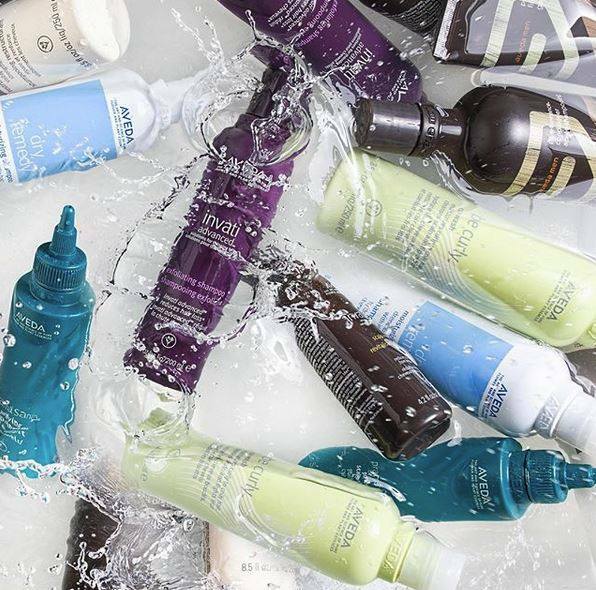 WHICH AVEDA PRODUCTS ARE FREE OF SULFATE CLEANSERS? Aveda Men Pure-Formance Shampoo, Invati Advanced Exfoliating Shampoo, Be Curly Co-Wash, Invati Men Exfoliating Shampoo, Damage Remedy Restructuring Shampoo, Pramasāna Purifying Scalp Cleanser, Scalp Benefits Balancing Shampoo and Dry Remedy Moisturizing Shampoo are all free of sulfate cleansers.